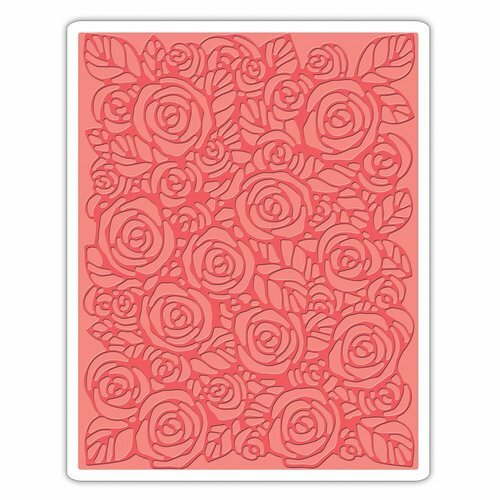 Your projects will be coming up Roses with this Texture Fades embossing folder from the Alterations Collection by Tim Holtz for Sizzix! 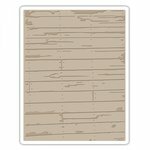 The package includes one 4.125" x 5.5" folder designed so that select areas of the image appear perfectly faded and distressed. 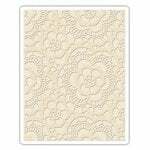 Use this folder to add texture to cardstock, paper, metallic foil or vellum and the Big Shot, Texture Boutique, BIGkick and Vagabond machines with a pair of Cutting Pads and the machine's included Platform, all sold separately. 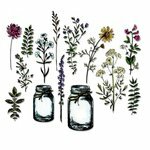 I have used this several times for different things and I LOVE IT! I've used it for wedding anniversaries, birthdays, and want to use it for a Kentucky Derby type project. I love this folder. 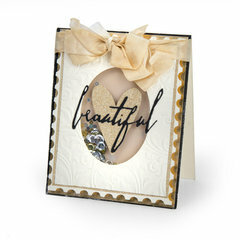 It makes a card more formal & elegant. I am having fun witm my roses folder. 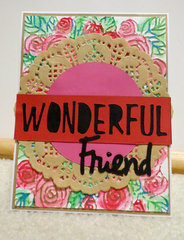 Using pattern paper, handmade water color designs, and using different colors of embossing powder. 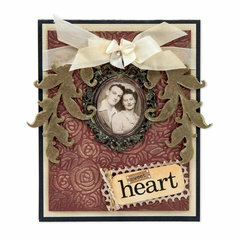 Tim Holtz did a wonderful jobon this product as usual! 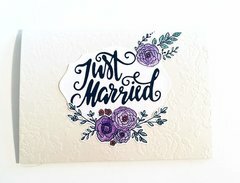 The roses were pretty and embossed well onto my paper! Thanks Tim!! 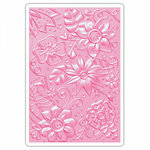 Fantastic very easy to use, beautiful intricate design. 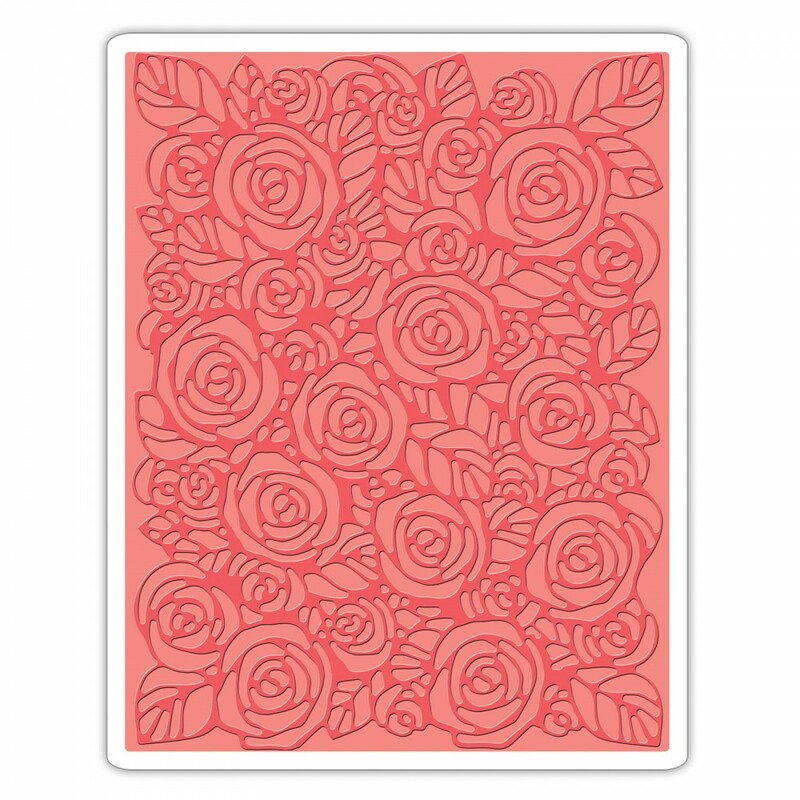 This embossing folder makes a fabulous impression of Roses. Very "impressive." Really pretty design. Shipping was prompt and the price was good. Thanks. 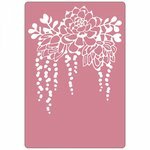 This is an embossing folder. How does it make the color of the roses fade? How would I use this. I am not getting the idea behind how to use it. It is beautiful. By: grandmatoall (08-May-17) Helpful Question? Yes | No Thank you! Report Inappropriate This question has been reported. Thank you! The fading is of the outline of the roses throughout the pattern on the page. It will not affect the color. 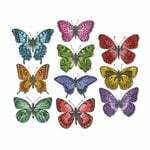 Your color will be determined by what color paper you use, or if you use white, what color you apply to it (inks, crayons, etc.). 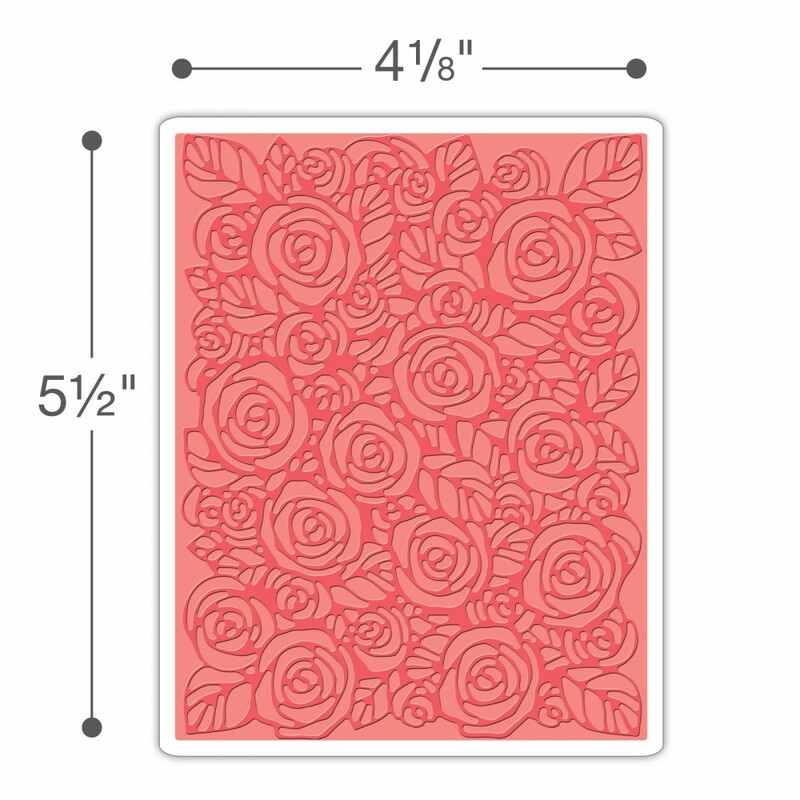 First cut your paper or card to the desired size, then put the portion that you want embossed into the folder and run it through your big shot. The impression of the texture from the folder will be left on the portion of the paper that was in the folder. By: marknpattinpets (09-May-17) Helpful Answer? Yes | No Thank you! Report Inappropriate This Answer has been reported. Thank you! You could ink your folder in a darker ink than your paper or use a core paper. I suggest that you just play with your folder trying different techniques until you find the look you want. 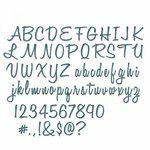 By: dumbdora5 (09-May-17) Helpful Answer? Yes | No Thank you! Report Inappropriate This Answer has been reported. Thank you! I bought this product awhile ago and I am having trouble making it with my Vagabond. I don't have the older multi-use extended platform with the tabs, I have the one I can attach my solo shims to it. 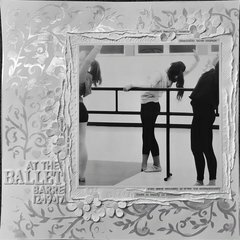 I was able to make the 3-D folders and they are beautiful but I have tried using rubber mat, silicone mat with my top cutting plate and it is not working. Can I ask if the older platform is one I have to get to make this work??? I have tried combinations with just about every thing I own that works in the Vagabond. By: menardkd (03-Mar-19) Helpful Question? Yes | No Thank you! Report Inappropriate This question has been reported. Thank you! Thanks for the suggestions. I think my cutting plates are too bowed out. I reversed them and used the silicone mat and got an "ok" sample and then added the rubber mat and it looks pretty good now!! Thanks again! By: menardkd (06-Mar-19) Helpful Answer? Yes | No Thank you! Report Inappropriate This Answer has been reported. Thank you! Sorry, I don't think I can help. I use a Big Kick extended platform with the tabs. 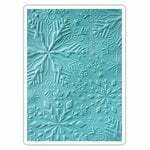 I have not had very good luck using the silicone mat. Keep trying extra shims would be my suggestion. By: darlow (05-Mar-19) Helpful Answer? Yes | No Thank you! Report Inappropriate This Answer has been reported. Thank you!